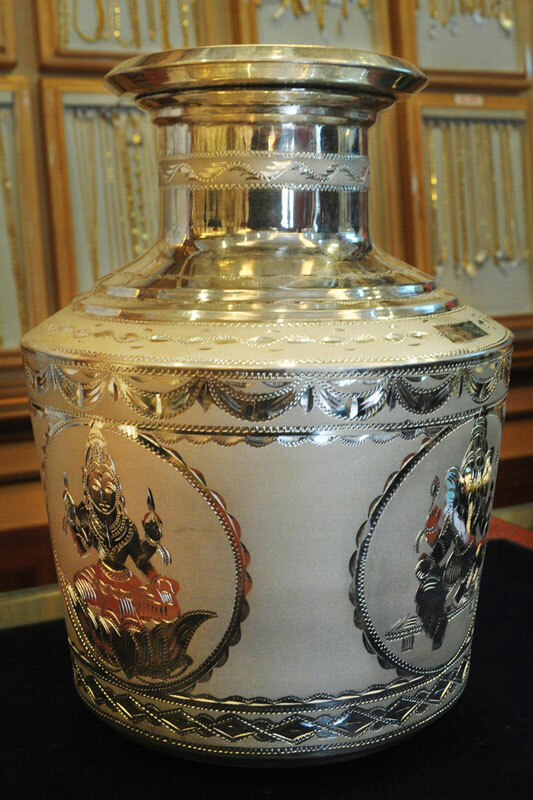 Karaikudi silver articles are famous for its unique traditional designs. The design themes used are God and Goddess carved on the product. The borders are designed with floral motifs. 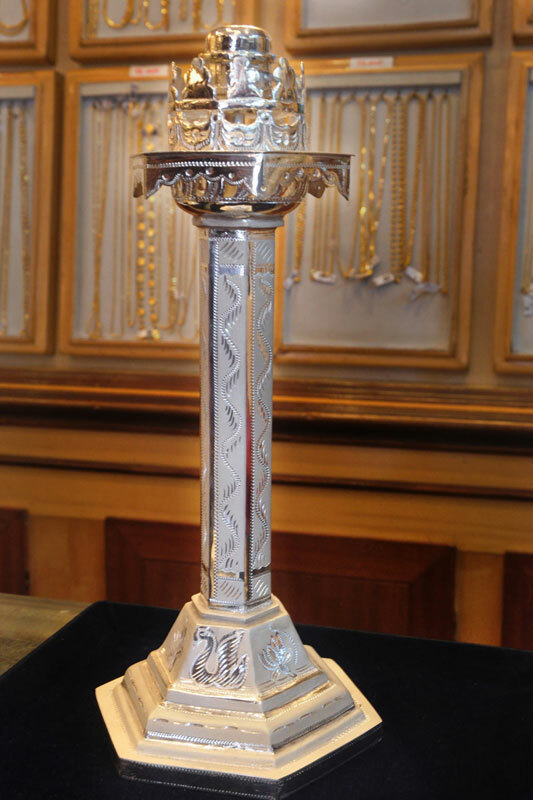 One of the interesting techniques used in making the product is the sand-blasting, which gives a dull texture on the surface of the silver product and highlights the design. 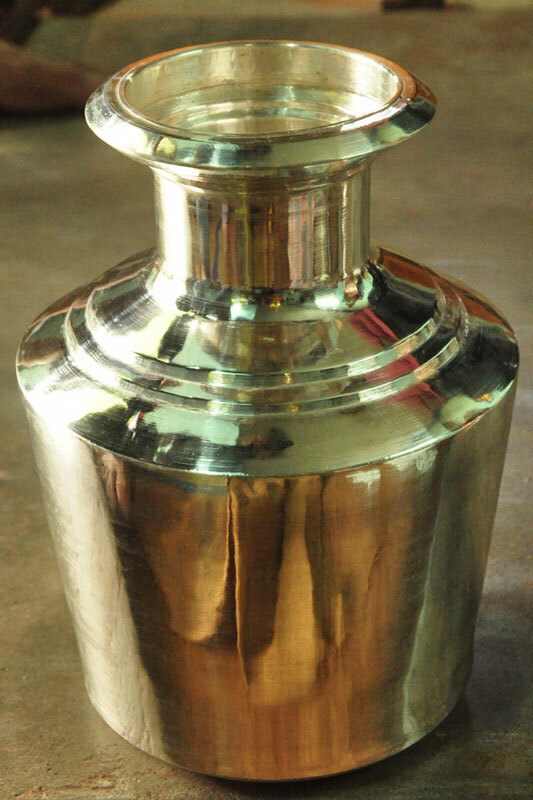 The main products are, the silver pot known as Kalasha, Silver lamps (deepam), small containers used in pooja, Turmeric and vermillion (Kumkum) holders, and many other products. 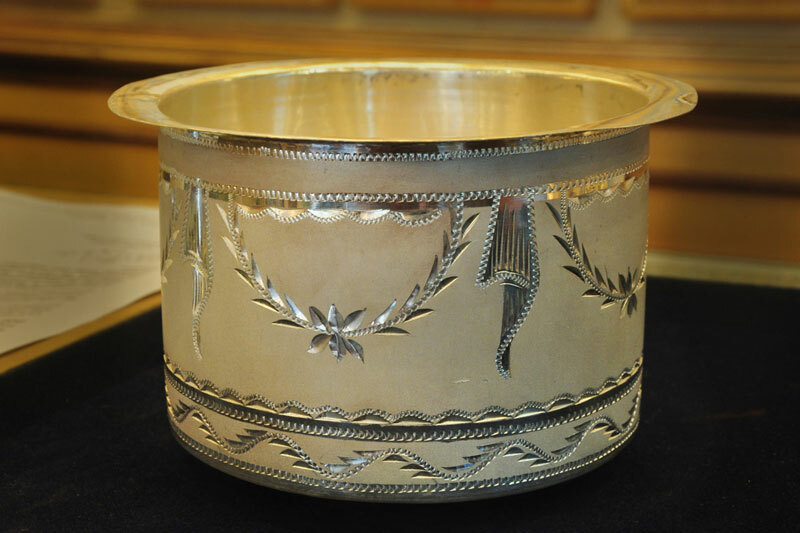 The distinctive product came across is the silver baskets woven by thin strips of silver. 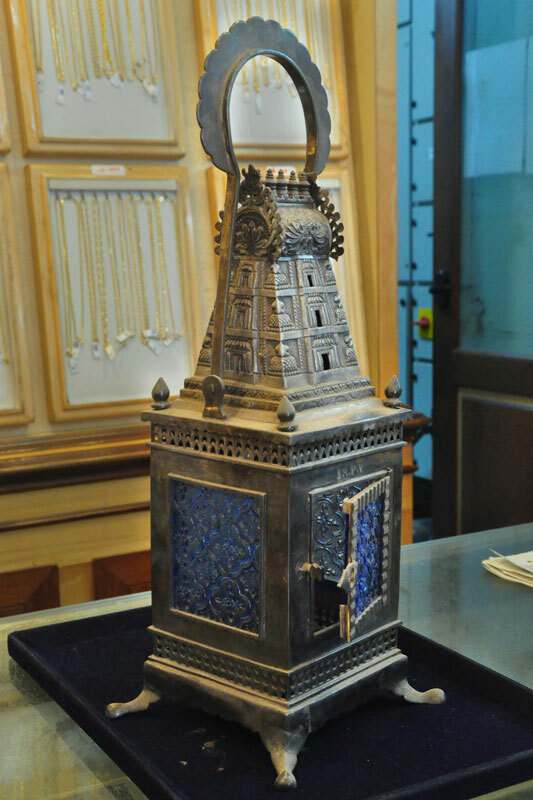 The visual attribute of the basket that attracts the eyes of customers is the intricate workmanship on the basket, the luster of the pure polished silver and the durability of the material. 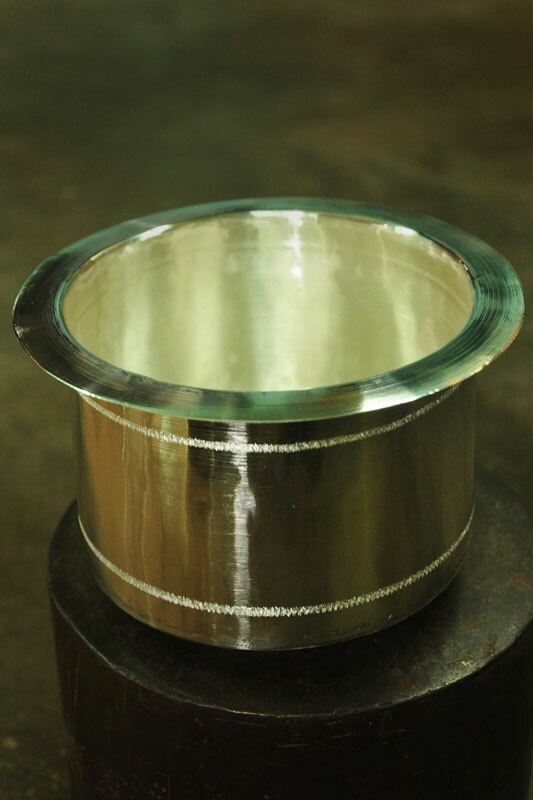 These baskets are produced in various sizes as demanded by the customer.